POPPOSITIONS is currently inviting galleries, project spaces and artist initiatives to participate in its 7th edition via an open call. The fair will take place in Brussels, from 18 to 22 April 2018. For the second edition in a row, Niekolaas Johannes Lekkerkerk (The Office for Curating, NL) is the artistic director. Applications are limited to solo shows, which will be assembled into one single exhibition. All forms of media and artistic disciplines are accepted. Participation fees are ranging from 500 to 1.500 Euro. 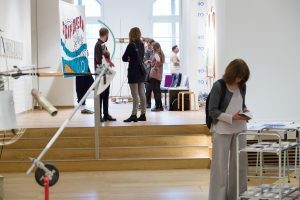 POPPOSITIONS was established by Liv Vaisberg and Pieter Vermeulen in 2012 as a counterpoint to mainstream art fairs, and has grown to be the leading fair offering an alternative market for contemporary art. In the past six years, POPPOSITIONS has been dealing with questions of artistic agency, self-organisation, cynicism and criticality in order to shape its profile within the cultural and economic landscape. For the second edition in a row, Niekolaas Johannes Lekkerkerk (The Office for Curating, NL) has been invited as the artistic director. POPPOSITIONS is more than an art fair. It encourages new, experimental and innovative approaches to the art market. 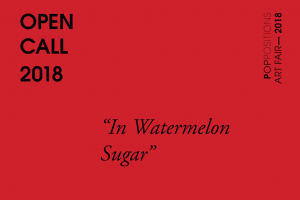 It is both a curated exhibition and an ongoing critical dialogue. POPPOSITIONS strongly believes in a collaborative approach by working closely with galleries, project-spaces, artists, curators and collectors.